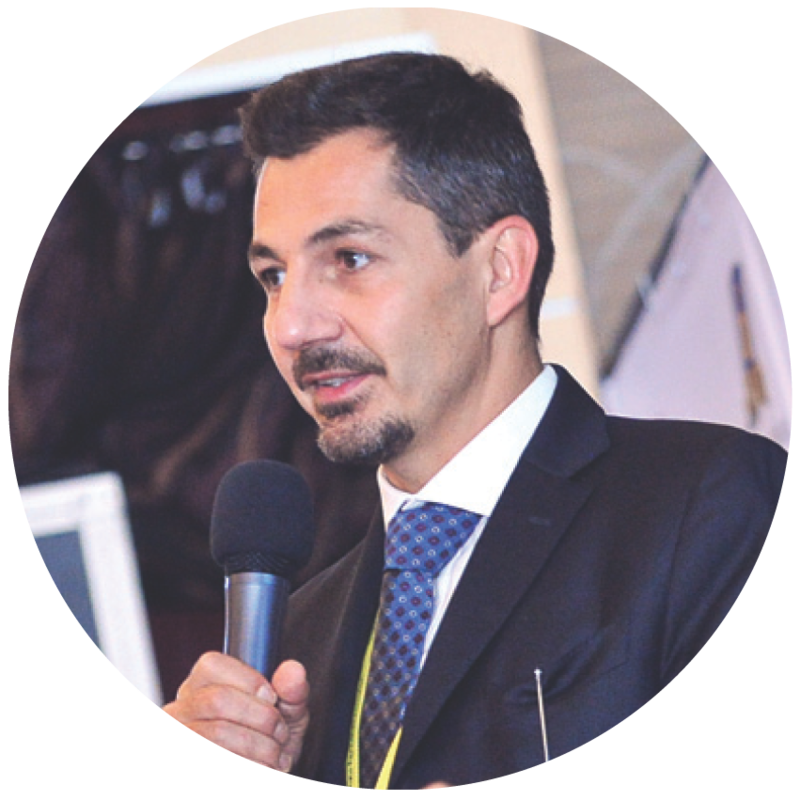 CLUSIS Committee Member As a conference speaker at the FIC 2019, Mr Tzanos has represented CLUSIS, the Fédération des Entreprises Romandes FER Genève and the State of Geneva. Advisor for Information Security and Regulatory Compliance, Emmanuel Tzanos also introduced the initiative towards the digitalization of the Swiss Franc and Regulated Crypto-portfolios. In the past Emmanuel has held positions in the financial sector, such as stockbroker, investment banking advisor, private banking compliance officer, financial products engineer. As for the Environment sector, Mr. Tzanos was among the first to monetize Voluntary Carbon Credits (VCS Standard) to save tropical forests (the lungs of the planet). For the geopolitical sector he has been advisor in strategic and sustainable economic development. Group Global Head of Information Security of Societè Generale. 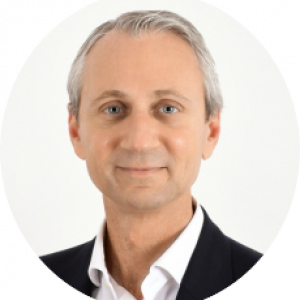 Michel is the Founder of Id Est avocats, an award winning boutique law firm located in Switzerland focusing on delivering strategic and expert advice to successful startups, innovative companies and global brands in the fields of technology, media, intellectual property, privacy and cybersecurity. Michel is also a widely respected corporate law specialist and has acted with his team on some of the most significant rounds of financing, strategic investments, acquisitions and divestitures in the technology sector in recent years in Western Switzerland, including several exits to major US buyers. Michel graduated with honors from Lausanne University (J.D. '93, Ph.D.'96) and Columbia University (LL.M. '97, Fulbright Grantee and Harlan Fiske Stone Scholar). 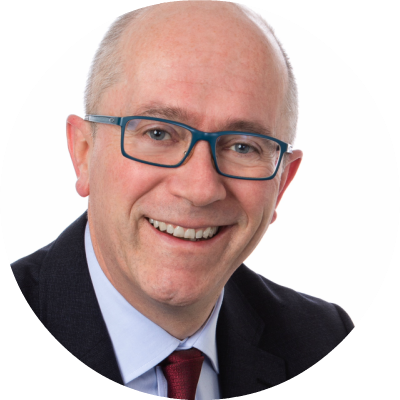 He has practiced law for more than 15 years in Switzerland and abroad in leading business law firms, including as head of practice. He is admitted to the Swiss and New York bars and worked in 2003-2004 in the IP/IT department of White & Case LLP in New York. He has been active in open source matters since 2005, and is a founding member of the International Free and Open Source Law Review (IFOSSLR) editorial committee. Michel was listed among the “300 most influential personalities” in Switzerland by Bilan Magazine and has received top rankings in tech | media | IT | IP and corporate | M&A by leading guides such as Chambers, Legal500 and Best Lawyers. Former Chief Information Security Office of the Judiciary of the Republic and Canton of Geneva. Formerly IT executive at luxury online reatiler Richemont. Working in IT for 20 years, Caroline has a strong experience of software implementation. She hold positions ranking from developer, in her early stage, till solution owner and CISO. Those allowed her to gain a clear understanding of IT solution design. Specifically, she's interested in challenges raised by putting together business needs and IT constraints - most of those related to security, whether data integrity, reliability and access control. Anthony Ferrante has more than 15 years of top‐level cybersecurity experience, providing incident response and preparedness planning to more than 1,000 private sector and government organizations, including more than 175 Fortune 500 companies and 70 Fortune 100 companies. 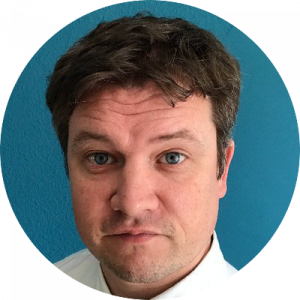 He maintains first‐hand operational knowledge of more than 60 criminal and national security cyber threat sets, and extensive practical expertise researching, designing, developing and hacking complex technical applications and hardware systems. Prior to joining FTI Consulting, Mr. Ferrante served as Director for Cyber Incident Response at the U.S. National Security Council at the White House where he coordinated U.S. response to unfolding domestic and international cybersecurity crises and issues. Building on his extensive cybersecurity and incident response experience, he led the development and implementation of Presidential Policy Directive 41 – United States Cyber Incident Coordination, the federal government’s national policy guiding cyber incident response efforts. Before joining the National Security Council, Mr. Ferrante was Chief of Staff of the FBI’s Cyber Division. He joined the FBI as a special agent in 2005, assigned to the FBI’s New York Field Office. 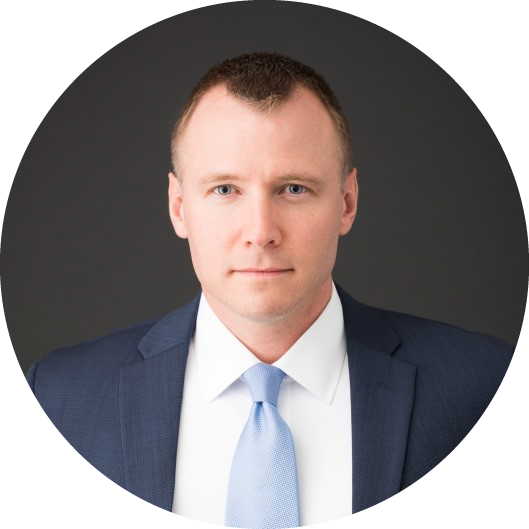 In 2006, Mr. Ferrante was selected as a member of the FBI’s Cyber Action Team, a fly-team of experts who deploy globally to respond to the most critical cyber incidents on behalf of the U.S. Government. Mr. Ferrante previously served as an Adjunct Professor of Computer Science at Fordham University’s Graduate School of Arts and Sciences, where he served as the founder and co-director of the Master’s of Science in Cybersecurity program in the Graduate School of Arts and Sciences. During his time at Fordham University, he served as the co-director of the undergraduate and graduate Cybersecurity research programs. 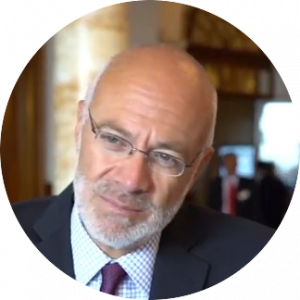 Jean-Marc Rickli is the Lead Expert on global risks and resilience at the Geneva Center for Security Policy. He focuses on the impact and consequences of geopolitical risks as well as emerging technologies, especially artificial intelligence on international affairs and international business. He was a former assistant professor in International Relations and International Security at the Department of Defense Studies at King's College but based at the Qatar National Defense College. He then received a PhD from the University of Oxford and Berrow scholar from Lincoln College, Oxford. He has expert knowledge of international affairs, foreign policy analysis, geopolitics, political, strategic and global risk analysis as well as risks related to artificial intelligence. He also has extensive international experience in academic research and teaching (assistant professor level) undergraduate and post-graduate students, government officials and military officers in Austria, Belgium, China, Finland, Iceland, Qatar, Sweden, Switzerland, United Arab Emirates, United Kingdom and United States. Jean-Marc is also a Consultant on strategies and policies regarding political risks for governments and the private sector. He is passionate about emerging technologies and the interactions between science, technology and society, and possesses expertise in fields like political analysis, risk analysis, small states' security, business intelligence, strategic studies, security policy, defense policy, defense economics, diplomacy, foreign policy, international negotiations, energy security, artificial intelligence, social media and international security, terrorism, war and its impact on businesses, finance and international security, European security, Middle East and gulf security. Marco Obiso is the Head of Cyber Security and ICT applications division at the International Telecommunication Union (ITU), the lead UN-specialized agency for ICTs and has been working in the field of Information and Communication Technologies for the past two decades. He has been operating in several ICT related domains such as network infrastructure development, system integration, application cooperation, IT Service Management, Internet governance and information security. He is currently facilitating the work of ITU in elaborating cyber security strategies and implementing programs and initiatives as well as leading the ITU’s efforts on enabling the use of ICT applications, for the benefit of ITU Member States, including providing technical assistance in establishing capabilities and working to strengthen coordination and cooperation within the UN system. Prof. Dr. Reinhard Posch is member of many professional societies: IEEE, ACM, OCG (member of the board of the Austrian Computer Society), OGI (Oesterreichische Gesellschaft für Informatik), ACONET, OeMG (Oesterreichische Mathematische Gesellschaft), GME (Microelectronic society) etc. He was the Austrian representative in IFIP TC6 (Communication) as well as IFIP TC11 (Computer Security). Besides this, Reinhard Posch is member of the Working Group on security of payment systems with chip cards of the Austrian National Bank. 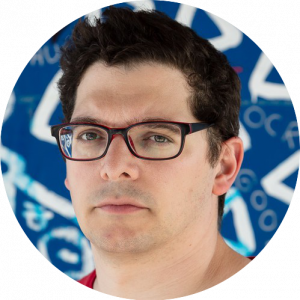 He worked with the OECD group of experts on cryptography in preparing the OECD guidelines for cryptographic policies. At the national level, he was consulting the Federal Chancellery, the Ministry of the Interior and other public institutions on matters of security and cryptography. 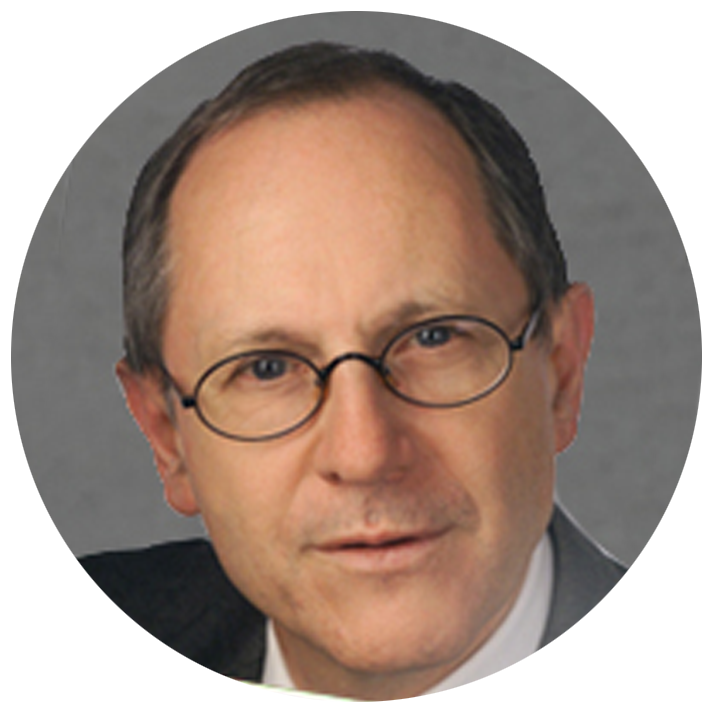 As the CIO for the Federal Government, Reinhard Posch is primarily involved in the strategic coordination of activities in the field of information and communications technology that concern more than one ministry. He specialized in ‘Applied Information Processing and Communications Technology', and as Scientific Director of the Austrian Secure Information Technology Centre. The main efforts are computer security, cryptography, secure hard- and software, and eGovernment. He also helped Greece to recover from the economic crisis by working with the Reichenbach Group to assist implementing innovation in the Greek eGovernment. Reinhard was later awarded the Grand Decoration of Honour in Silver for Services to the Republic of Austria. 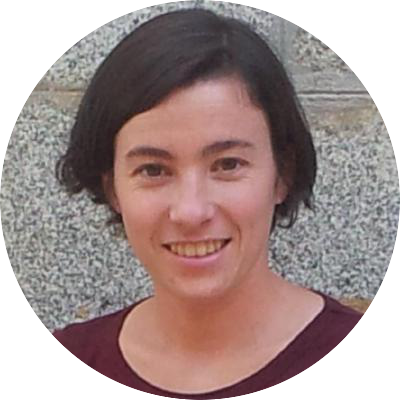 Prior to EPFL, Carmela has been a Faculty member at the IMDEA Software Institute in Madrid, Spain; the Security and Privacy Technical Lead Engineer at Gradiant, and a post doctoral researcher at the COSIC group, lead by Prof. Bart Preneel. She received her PhD from KULeuven, Belgium, advised by Prof. Bart Preneel and Prof. Claudia Diaz. Today, she heads the SPRING Lab focused on Security and Privacy Engineering at EPFL, and is currently, working on machine learning in security and privacy, anonymous communications, location privacy and privacy engineering. Over the past 25 years, Valdo acquired a broad investment banking (Citibank), asset management (Dexia Asset Management) and portfolio/wealth management experiences (Ferrier Lullin/Julius Bär; KOCH Industries Finance Services), and has worked for U/HNW private and institutional investors of many nationalities in London, Frankfurt and Switzerland. 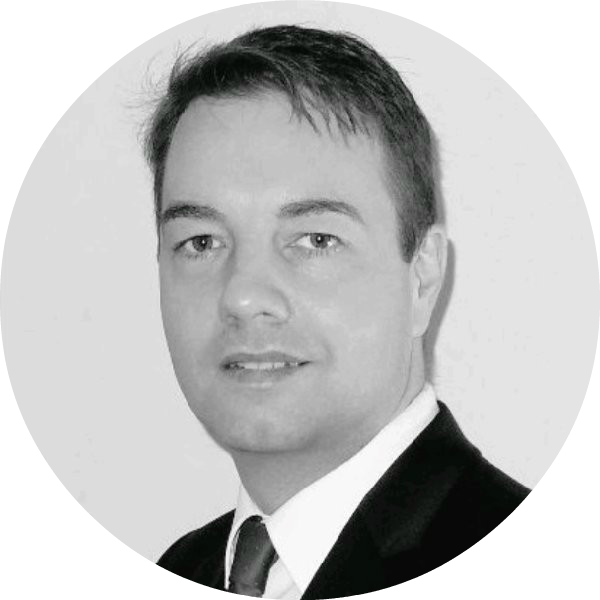 He manages WAAM Solutions’ clients’ wealth and portfolios, by bringing innovative and tailored solutions with WAAM’s network of selected partners, so as to generate real, risk adjusted performance over the long term. His focus and expertise is geared towards real assets (co)-investments, including physical gold, timber, real estate, VC/PE, deep value investing, and direct lending. He also obtained a masters degree in Portfolio Management from a French University in Lyon. Ceo of Conceptivity, leading IT supply chain security consultancy. 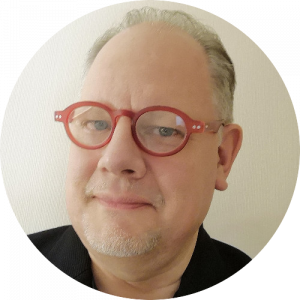 Mark Miller is a graduate of the Massachusetts Institute of Technology and has been managing successful global cyber security and supply chain security contracts, projects and client engagements for over 20 years. He is also the Vice Chairman of the European Organisation for Security and serves on the Board of Directors of the European Cyber Security Organisation. In his free time he is a very avid power weight lifter and photographer. 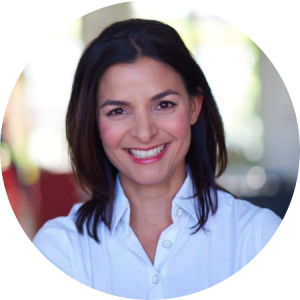 President of the Empowerment Foundation in Lausanne, and Organizer of the Empowerment Summit, Leila Delarive began her career as a lawyer specialized in telecommunications, environmental and land use planning law. After more than 10 years of being a member of the Bar, Leila has become a committed entrepreneur. She has created several companies, including Be Curious TV, a citizen TV channel, and Amplify, a digital platform for amplifying messages with a positive social impact. Convinced that individual responsibility is crucial in the digital age, she is interested in tools that enable citizens to make enlightened decisions, to adapt and to benefit from the changes brought by technological evolution. Stuart Armstrong’s research at the Future of Humanity Institute centers on the safety and possibilities of Artificial Intelligence (AI), how to define the potential goals of AI and map humanity’s partially defined values into it, and the long term potential for intelligent life across the reachable universe. He has been working with people at FHI and other organizations, such as DeepMind, to formalize AI desiderata in general models so that AI designers can include these safety methods in their designs. His collaboration with DeepMind on “Interruptibility” has been mentioned in over 100 media articles. Stuart Armstrong’s past research interests include comparing existential risks in general, including their probability and their interactions, anthropic probability (how the fact that we exist affects our probability estimates around that key fact), decision theories that are stable under self-reflection and anthropic considerations, negotiation theory and how to deal with uncertainty about your own preferences, computational biochemistry, fast ligand screening, parabolic geometry, and his Oxford D. Phil. was on the holonomy of projective and conformal Cartan geometries. Pierre Maudet is a Swiss and French politician. Maudet is a member of The Liberals. He was the Mayor of Geneva from 1 June 2011 to 31 May 2012. He attended the University of Fribourg, and on 17 June 2012, he was elected to the Council of State of Geneva, the executive council of the Canton of Geneva with 40,966 votes out of 104,375 cast. In September 2017, he was nominated by his party to run for the Federal Council. In February 2017, He created Operation Papyrus: a pragmatic, comprehensive and innovative response to the personal and professional situation of undocumented migrants. Tim Llewellynn is the CEO and co-founder of nViso, and IBM Beacon Award winner. He is currently world's leading technology provider of emotion AI through face and body analysis transforming human-machine interactions in finance, automotive, retail, healthcare, and more. 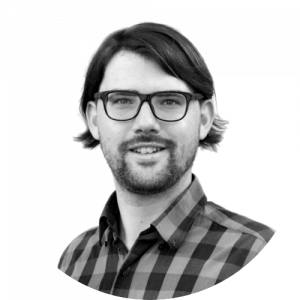 Christian Wirth is a computer scientist researching in the blockchain field since 2013. Previously, he worked as a Senior Blockchain Architect for IBM and published several papers in the field with Michael Kolain. 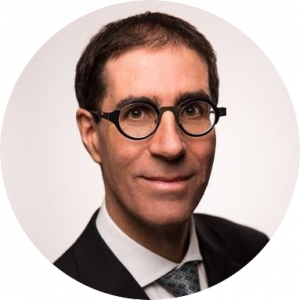 Michael Kolain is a fully qualified German lawyer and also the Program Coordinator for "Transformation of the State in the digital age" (along with Christian Wirth) and a Research Assistant at the German Research Institute for Public Administration in Speyer. With an EPFL master's degree in cyber security & cryptography, Steven Meyer is also a Certified Information Systems Security Professional (CISSP). After working at Microsoft, he was a cracker of passwords and expert consultant in computer security. Steven finally, in 2012, founded ZENData a company specialized in cyber-protection. He also runs the cyber-security section of Bilan magazine and makes numerous appearances in the media and at events to raise awareness about cyber-risks. 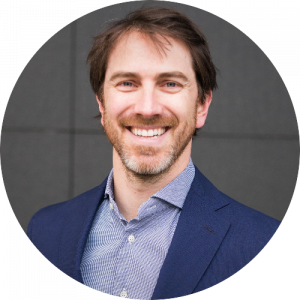 Managing Partner of Polytech Ventures, Laurent has over 10 years of private equity investment experience, including an operational role in VC funded companies and was also an early stage investor. Former personal assistant of Mr. Armand Lombard, Private Banker, Laurent had managed a biotech start-up before joining Bisange, an investment consulting company. In parallel, he directly supported the launch of several start-ups, and was part of a European private investors circle. In 2006, he joined a family office based in Switzerland as Head of Private equity. He was in charge of all the PE activities and managed investments across Europe in several industries as e-gaming, financial services and real estate. 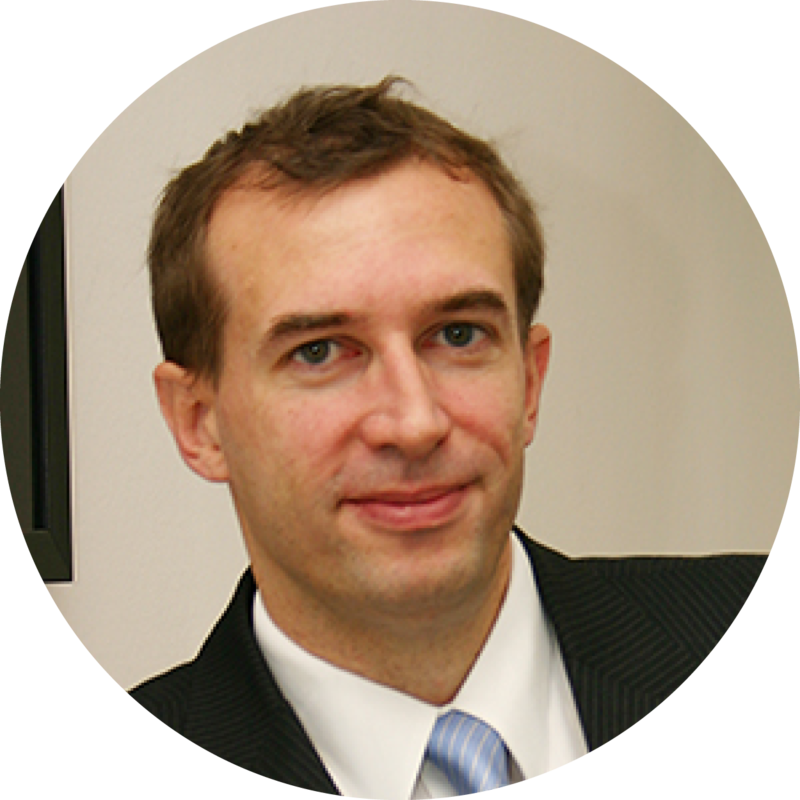 Laurent holds a masters degree in international relation (IUHEI) & an Executive Master’s Degree in Technology Management (eMBA in MoT, EPFL). Dr. Roman V. Yampolskiy is a Tenured Associate Professor in the department of Computer Engineering and Computer Science at the Speed School of Engineering, University of Louisville. He is the founding and current director of the Cyber Security Lab and an author of many books including Artificial Superintelligence: a Futuristic Approach. During his tenure at UofL, Dr. Yampolskiy has been recognized as: Distinguished Teaching Professor, Professor of the Year, Faculty Favorite, Top 4 Faculty, Leader in Engineering Education, Top 10 of Online College Professor of the Year, and Outstanding Early Career in Education award winner among many other honors and distinctions. 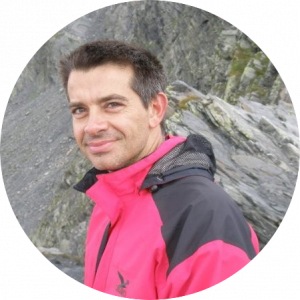 Yampolskiy is a Senior member of IEEE and AGI; Member of Kentucky Academy of Science, and Research Advisor for MIRI and Associate of GCRI. Roman Yampolskiy holds a PhD degree from the Department of Computer Science and Engineering at the University at Buffalo. He was a recipient of a four year NSF (National Science Foundation) IGERT (Integrative Graduate Education and Research Traineeship) fellowship. 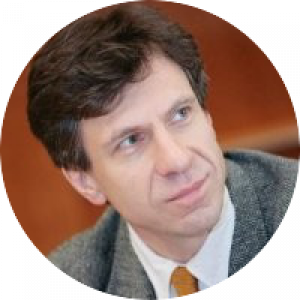 Dr. Yampolskiy’s main areas of interest are AI Safety, Artificial Intelligence, Behavioral Biometrics, Cybersecurity, Digital Forensics, Games, Genetic Algorithms, and Pattern Recognition. 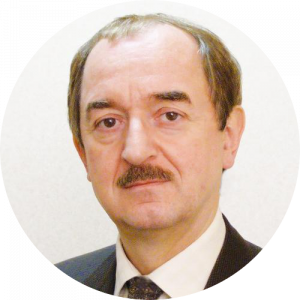 Dr. Yampolskiy is an author of over 100 publications including multiple journal articles and books. His research has been cited by 1000+ scientists and profiled in popular magazines both American and foreign. 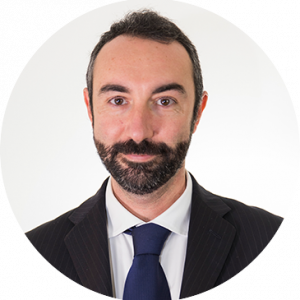 Davide Barillari is a Certified IT Senior Specialist who worked at IBM for 17 years. In 2013 Davide was the presidential candidate of the Lazio Region for the 5 Stars Movement, and today is elected in the Lazio Regional Council, as spokesman of the citizens. He is a member of the Commission of Health and Social Affair and President of the Commission for Media Pluralism. He is also President of the intergroup Digital Innovation in Public Administration, and is actually working on collective intelligence projects and e-democracy platforms. He is the writer of the first Italian law to introduce digital democracy, AI and blockchain in a regional institution. 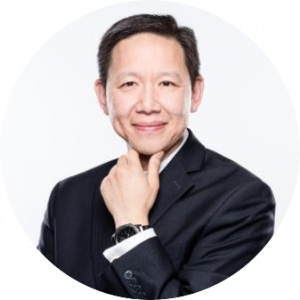 With over 20 years of experience in the Big 4 firms, Paul Wang advised corporations in Strategy, Investigation, Litigations, Infosec, Cybercrime, Risk and Compliance. Previously a partner of the Regional Head of Fraud Investigation & Dispute Services and Head of Forensic Technology & Discovery Services at EY Switzerland. Widely solicited as a lecturer at conferences and seminars, Paul hold a Masters of Science in Computer Science, certifications including CISA, CISSP, CISM, CRISC and a certificate from MIT Sloan School of Management in Blockchain Technologies. The Top 100 People in Finance for 2019 according to the Top 100 Magazine and a dual citizenship from Mexico and USA, Juan Carlos Lara is an alumnus of the Universidad Iberoamericana, Harvard University and the University of Barcelona with a pending thesis. In the 80s and 90's he developed the Banamex-Citibank NYC office and managed its 2B+ securities portfolio, and the sales and trading areas. He also initiated LD Securities, a USA broker dealer in Texas to serve LATAM In the year 2000. 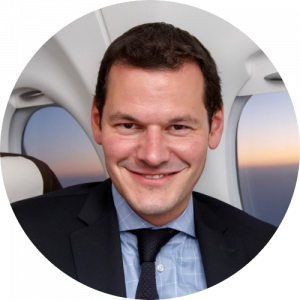 Juan Carlos later moved to Switzerland in 2010 to work for UBS & HSBC and established POINT5 Family Office in 2015. Juan Carlos's main focus is in ESG is because he believes that companies that have secular sustainability drivers create positive impact and will have higher earnings growth and valuations than those that do not adopt sustainability as a core tenet. He is a Swiss Alpine farmer traditions aficionado and has previously spoken at engagements like the V Private investment forum Worldwide at the Burj al Arab in Dubai, and the 3rd Switzerland Institutional Real Estate Investor Forum in Zurich. 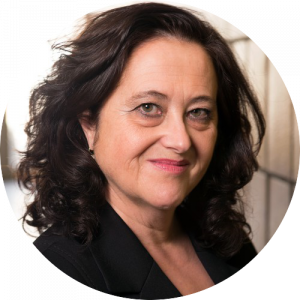 Solange Ghernaouti is the director of the Swiss Cybersecurity Advisory and Research Group, professor of the University of Lausanne and president of the Foundation SGH (Social Good for Humanity). She is an internationally recognized expert, an active independent cybersecurity advisor, an influential analyst and a regular media commentator. 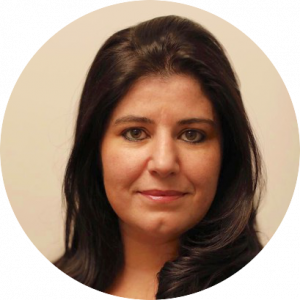 She offers strategic and practical advice, targeted research, and detailed education in a variety of fields related to cyber-risks, cybersecurity, cybercrime, cyberdefence, cyberpower, and AI related issues. She is invited to the five continents to give talks and regularly intervene in UN Agencies, private and public organizations. Solange holds a PhD in computer science and telecommunications from Paris-Sorbonne University, and is a former auditor of the French Institute of Advanced Studies in National Defence. She has authored more than 300 publications and more than thirty books including "Cyberpower: Crime, Conflict, and Security in Cyberspace" (translated in China). Prof. Ghernaouti is Chevalier of the Legion d'Honneur, member of the Swiss commission for UNESCO, member of the Swiss Academy of Engineering Sciences, and has been recognized several times by the Swiss press as one of the outstanding women in professional and academic circles. She is board member of The Global Initiative Against Transnational Crime (Maison de la Paix, Geneva) and associate fellow of the Geneva Center for Security Policy. 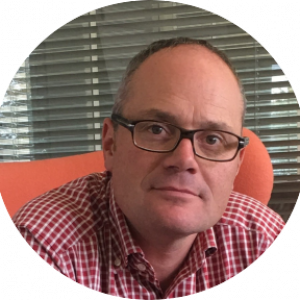 Phillipe Thévoz is the e-government systems vice president at SICPA, where he provides digital integrity solutions to government, administrations and public services. His overall aim is to accompany governments in their journey toward e-government, smart city and e-health, as well as to guide governments and public administrations in their digital & technological transformations. Phillipe also advises governments and public administrations in their adoption and integration of blockchain technology. Previously, he was senior engineering director at ESI Group for 5 years, as well as the founder and CEO of Calcom SA, where he worked for 11 years. As a specialist analyst focused on broad aspects of the global wealth management sector, Stephen Wall helps support the business needs of both wealth managers and the sector's diverse solution providers. Ultimately, he sees the sector moving towards a far greater level of partnership, cooperation, co-creation and co-development between the two fields. He responded to both the needs of both wealth managers and solution providers by building The Wealth Mosaic as a dedicated, accessible and curated resource for the business needs. Wall believes the wealth management sector needs support, there needs to be greater and easier access to focused and relevant knowledge resources and it needs to be simpler for wealth managers to discover the solution providers that can support their business needs. Lennig Pedron is the founder and president of ICON NGO based in Geneva. 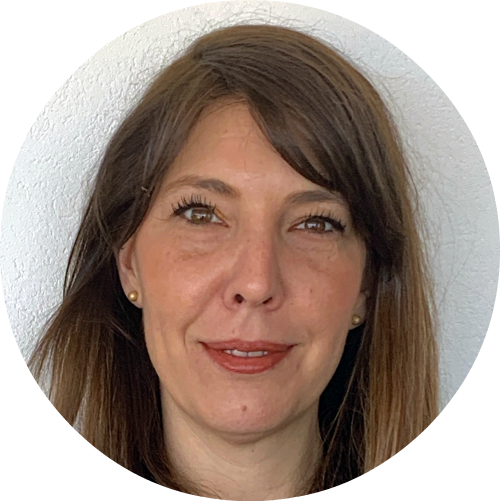 She is an expert in human factors in cybersecurity and the director of the R&D laboratory of cybersecurity of SecuLabs in Innovation Park EPFL. She is also the founding member of the Swiss label Cyber Safe. Previously, Lennig Pedron worked last year at College d’été about responsible behaviors in cyberspace, and participated at a round table in Maison de la Paix on the 13th September, organised by the ICON NGO, with 25 stake holders (ONU, ITU, GCSP, DFAE, OFCOM, ISOC ICANN, UNI, civil society, industries such as Microsoft (Tech Accord) Airbus (Charter of Trust) meeting about the topic of how governance models can best maximize the trustworthiness and resilience of an ultra-high assurance IT and AI certification bodies in critical societal domains, as well as how to follow up from that. The followup focused on the Tech Accord, Charter of Trust, Call of Paris and on the Digital Geneva Convention. ICON NGO was one of those that signed the Call of Paris. 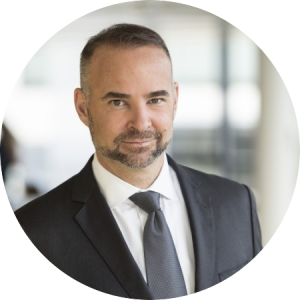 Dr. Gerhard Knecht is the Head of the Global Unisys vertical business unit for Security Services, and current advisor for Trustless Computing Association as well as their startup spinoff, TRUSTLESS.AI. He is in charge of over 160 staff in 8 Security Operations Centers (SOC) and global operations. He is Globally responsible for portfolio development, sales and pre-sales support, implementation and service delivery. As an enterprise services CISO, Dr. Knecht is solely responsible for Information Security in all Unisys Data Centers and Service Centers around the globe, reporting to the head of Global Service Delivery. He also invented and implemented the Unisys Security Implementation Methodology (UniSIM) and all its constituent parts, such as BeATo (Benchmark Assessment Tool) for Capability Maturity Assessments, as well as designing and developing the National Information Security Framework of Portugal. He was voted by SC Magazine and (ISC)2 one of the top 10 Influential Security Professionals in the UK, and holds a PhD in computer science from Innsbruck University, Austria, as well as sever other certifications and diplomas from various institutions. 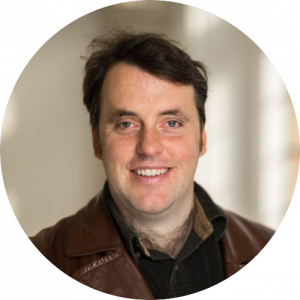 Paul-Olivier Dehaye is a mathematician interested in data protection. His original investigation has assisted dozen of journalists in covering the Cambridge Analytica/Facebook scandal. He is the founder of PersonalData.IO (a non-profit focused on making personal data rights actionable and useful), of the startup hestia.ai (focused on offering services to data collectives), and MyData Geneva, the local hub of the movement MyData Global, for which he is board member. He is in Bilanz' DigitalShapers list for 2018 and Le Temps' Forum des 100 2019. 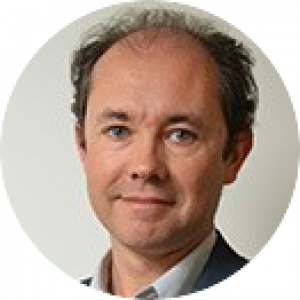 Bertrand Tavernier is VP Software Research & Technologies for Thales Group. He manages global software R&T strategy and lead software architects network between the six Thales GBUs (Global Business Unit) and the five Thales Research & Technology centers. Prior, he held several positions related to safety critical embedded software as Safran Electronics workbench chief engineer from 2011 to 2015. 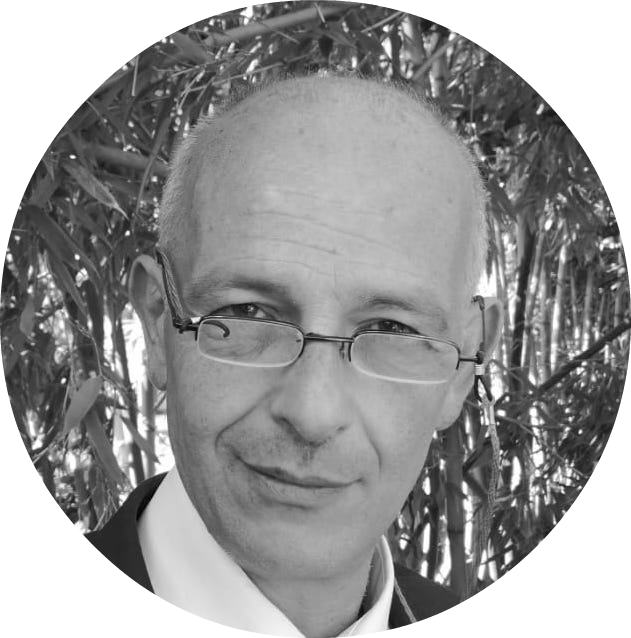 Luca Benini is Full Professor at the University of Bologna and he is the chair of digital Circuits and systems at ETHZ. 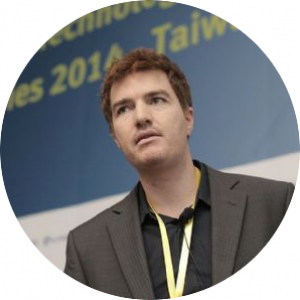 He has served as Chief Architect for the Platform2012/STHORM project in STmicroelectronics, Grenoble, in the period 2009-2013. He has held visiting and consulting researcher positions at EPFL, IMEC, Hewlett-Packard Laboratories, and Stanford University. Dr. Benini's research interests are in energy-efficient system design and Multi-Core SoC design. He is also active in the area of energy-efficient smart sensors and sensor networks for biomedical and ambient intelligence applications. In these areas he has coordinated tens of funded projects, including an on-going ERC Advanced Grant on Multi-scale thermal management of Computing Systems. He has published more than 700 papers in peer-reviewed international journals and conferences, four books and several book chapters (h-index=84 on Google Scholar). 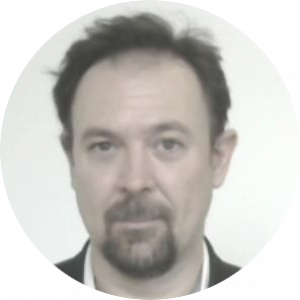 He is a Fellow of the IEEE and a member of the Academia Europaea and has served for two terms as a member of the steering board of the ARTEMISIA European Association on Advanced Research & Technology for Embedded Intelligence and Systems. As president of the Crypto Valley Association, Daniel aspires to bring applied blockchain adoption to fruition, collaborating with an amazing team. He is also advisor to a few handpicked blockchain based projects. He assists organizations to envisage and translate business challenges into practical deployment of applications by providing motivation, guidance, and strategy to senior stakeholders and teams to realize digital strategies. 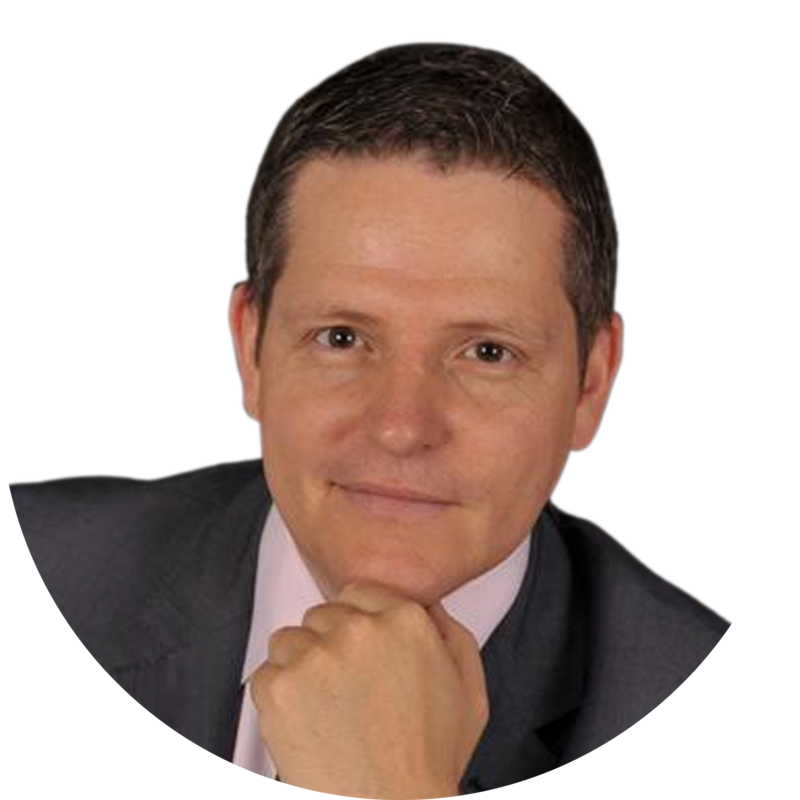 Daniel started his professional career at Ernst & Young with over 20 years of proven technology enabled transformation delivery. His experience has given him excellent understanding of the opportunities and pitfalls offered by deploying new technology applications, allowing himself to help companies navigate FinTech investments successfully. 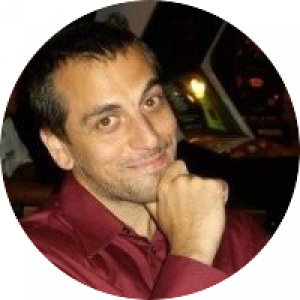 Antoine Clerget has 15 to 20 years of experience as a CTO, technology leader and entrepreneur in Information Technologies, Internet, IT and networking. He has been involved in R&D, product management and innovation in networking, satellite communication, wan optimization, IP routing, mobile TV, SDN/NFV, standardization, and technical partnerships. Mathematics is my passion. I decided to apply them to information systems. After having climbed all the steps of the IT security professions, I am leading today a department with a very large scope in a successful bank. 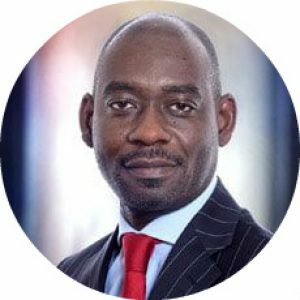 Eldo Mabiala is Head of Security and Organisation at SYZ Group, a financial institution active in Wealth Management, Asset Management and Private Equity in Switzerland and in several other countries. 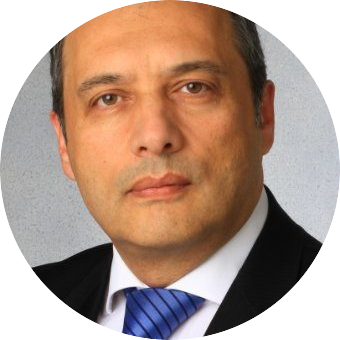 He is responsible for Cybersecurity, Information security, IT Risk Management, Business Continuity and security aspects of all strategic projects of the Group. Data protection is considered a key topic directly tied to service quality characteristic of SYZ Group. Therefore, Mr. Mabiala is involved in several initiatives driven by management, business or operations. He has been part of several working groups to prepare the regulation changes forecasted by the Swiss Financial Authority. 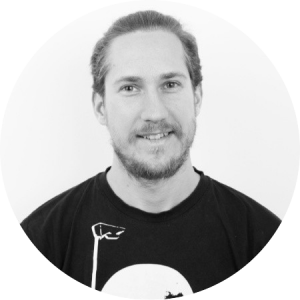 Eldo has a particular interest in Artificial Intelligence, Mobile Communications and Identity Management. Furthermore, he can count on several years’ experience in IT risk Management within Wealth Management institutions in Switzerland and abroad. He holds a Master degree in Applied and Mathematics and a Master degree in Communication systems, as well several diplomas and technical certifications.